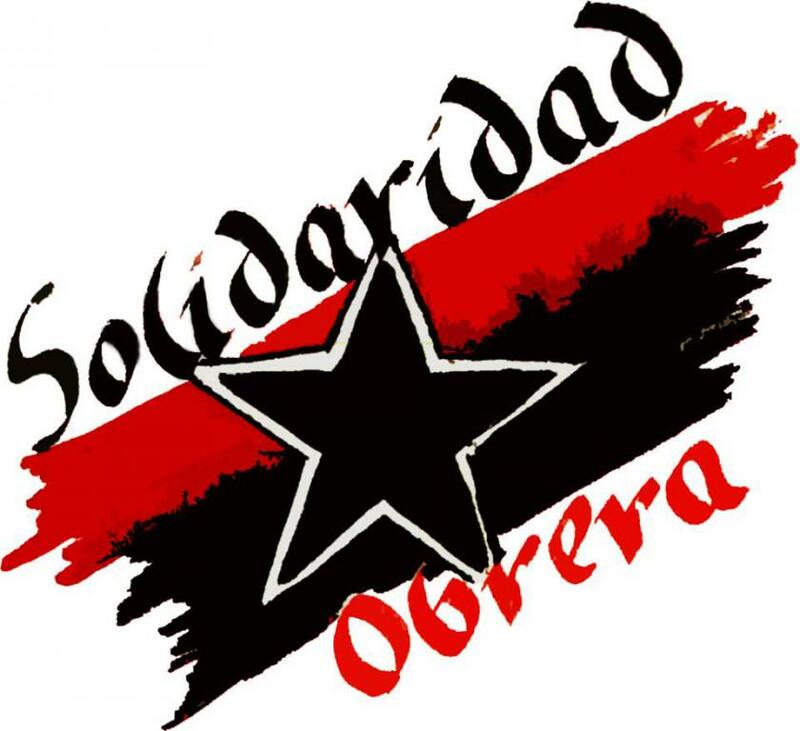 Solidarid Obrera was founded in 1990, mainly by militants of what is now the CGT. The 1989 Congress of the CGT in Madrid, with the triumph of the reformist wing (loss of decision making power of assemblies in favour of executive committees, the creation of a Conflict Committee, secret greements for the entry of groups of members of political parties, such as the Humanista Party, excisions from CCOO such as the Syndical Left of Bankworkers...) caused more than a third of the syndicalist militants to contemplate splitting. In the end, the vast majority preferred to continue in the CGT and fight within and only a few ended up leaving. In Madrid we made contact with the CNT and saw that it was impossible to enter that organisation. Facing the danger of becoming mere "company unions," we constituted in Madrid a new syndical confederation: Solidaridad Obrera, anarchosyndicalist in its statutes, and with the goal of spreading throughout the rest of the State. We are currently active in Madrid, Alicante and Menorca, with contacts in many other provinces. We are a small confederation but we feel we have found the balancing point between the purism and separation - from - workers - and - workplace of the CNT and the reformism and protagonism of the syndical elections of the CGT. We are different from the CNT in that we take part in syndical elections in those companies which we think will benefit from them. We think these elections are a lesser evil and can guarantee an infrastructure for the running of syndical sections (members of our union in these companies). In any case, taking part in these elections is a point of strategy, freely decided. At times they can be counterproductive and therefore the syndical sections or sectorial trade unions decide whether or not to take part. think that what is important is the level of militancy and mobilisation. Presenting candidatures in companies in order to gain certain results (without an ideological base) has resulted in the CGT pacting and signing in some companies agreements which are perjudicial to the workers. Furthermore, we have seen that militants of political parties, normally Marxists, distort and cause many problems in the unions. We support participating with both CNT and CGT in joint actions. Every 1st May we propose a joint demonstration, but without success up till now. We currently coincide with them in specific campaigns, such as the fight against accidents in building works (we publish a newsletter together), or in a soon-to-begin campaign against temporary employment agencies with the CNT. Our relations are getting better, although we wish they were more cordial. According to Spanish Wikipedia, membership is now up to 1,100.